During the 18th and most of the 19th centuries, almost every Irish farmer and small-holder was a tenant of one of the large estates whose Anglo-Irish gentry owners controlled every aspect of Irish life. The reason for this was that successive rebellions against British administration in earlier centuries had resulted in almost all Irish land being confiscated from its historic owners. This land was then granted to those who were proven to be loyal to British interests. These included the ‘adventurers’ who had funded the armies involved in quelling Irish rebellions; the soldiers who served in the armies involved (in lieu of pay); and also others who were due favours by the British court. These new owners (and their successors) rented the land to the existing occupiers, or in some cases (particularly Ulster) settled their new properties with immigrants from Scotland and England. In parallel, draconian anti-Catholic legislation (called the Penal Laws) was imposed from 1703 limiting the right of Catholics to own property above a certain value; to hold public positions; and to receive education. The rights of Presbyterians were also curtailed. This created a situation whereby acceptance of the role of tenant with no rights was the only option available to most Catholics. 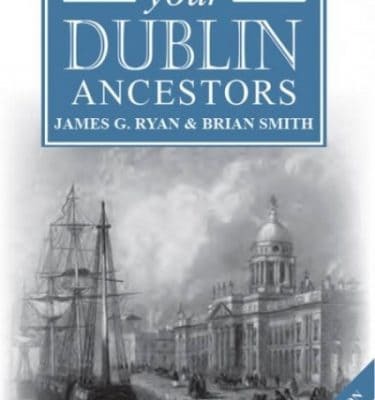 It is estimated that in the 18th century 95% of the cultivable land was owned by about 5,000 landlords, often referred to as the Anglo-Irish ascendancy. Only a very few were Catholic. Many of these estate owners were ‘absentee’ landlords who owned estates in Ireland but lived abroad, usually in England. However, unlike estate-owners in England and elsewhere, most Irish landlords had little interest in improvement of their estates or in assisting their tenants to become more productive. In other countries the philosophy of estate owners was that ensuring the economic viability of their tenants was the best means to ensuring continued rent payments. With some exceptions, this was not the practice on Irish estates, although there were some ‘improving’ landlords. Rental income in 1845 from Irish estates has been estimated at €13.4 million which is approximately €11 billion ($12.6 billion) in current value. In summary, the circumstances described above lead to a situation in which individual ownership of land by farmers or small-holders was very exceptional. It is probable that almost every tenant household in the country was recorded in a rental at some stage. The era of major estates gradually ended during the 19th century through a combination of factors. Many estates had become heavily indebted due to overspending. When economic forces (i.e. reduction in the price of agricultural products) reduced the capacity of tenants to pay their rent, many estates were bankrupted. A further factor was that political agitation by the Irish Land League and others reduced the power of the Anglo-Irish ascendancy and enhanced the rights of tenants. Significant among the gains made was the creation of laws and institutions (See Encumbered Estates Court below) which facilitated the sale of bankrupt estates and allowed tenants to purchase their land. Around 8,000 estates, with over half a million tenants, were sold between 1849 and 1875, and much of this land was purchased by individual tenants. 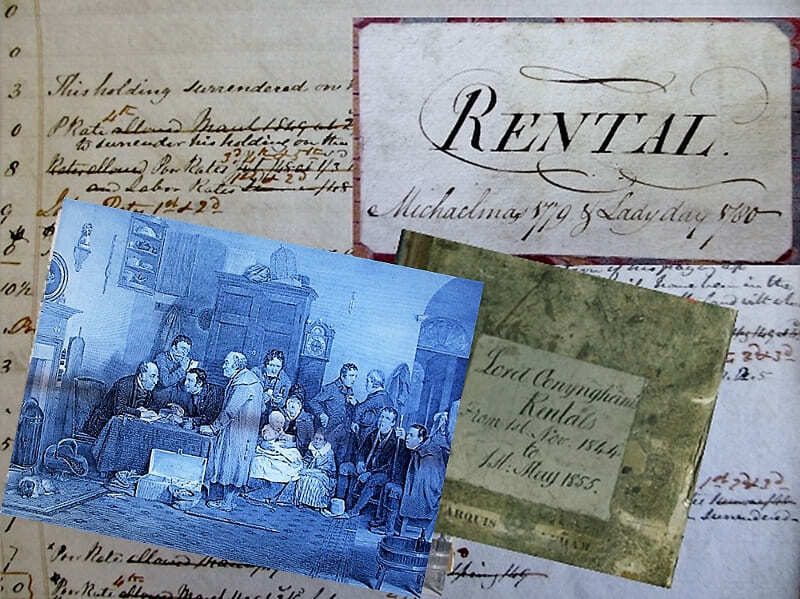 From a family records viewpoint, one outcome of the era of the great estates was the creation of a set of documents called rentals, which provide valuable information for the family historian. This article sets out the background, nature and location of rentals and how they can best be used in your research. Rentals or rent rolls are the records used by landlords or their agents in managing their tenants. They were important documents to estate owners as rents were their major, and often their sole, income. Keeping records of their business was therefore a vital process. They are one component of Estate Papers, which describe all of the documents compiled by estate owners in their private and business affairs. Occasionally, rentals are preserved as separate documents within archives. At their most basic, rentals show the name of a tenant; the location of their holding, and rents due and paid. However, they are hugely variable in format and some provide other useful information of genealogical relevance. As they are private records, their format was devised to suit the needs of each landlord. The range of variation can be seen in the examples shown below. (a) The Annual Rental which shows the accounts for a single year (or sometimes a half-year) for a particular area or estate. These will usually list the location of the holding (called the ‘denomination’), the name of the tenant, rent due, rent received and sometimes some observations. These observations can include reasons for non-payment, personal circumstances etc (see further details and examples in Section 3 below). Three examples of annual rental format are below to illustrate the diversity of styles: Figure 1 is a basic rental from the O’Hara estate in Sligo in 1756, but it also specifies a ‘quit rent‘ payment, which is not usual; Figure 2 is a more more detailed rental from 1822 indicating area of land and the terms under which it is held (see Tenancies below); Figure 3 also gives details of the area of land held, but gives more details on the leases. The general format shown in Figure 1 is by far the most common. Figure 1: An example of an annual rental from the O’Hara Estate in Sligo (National Library of Ireland Ms. 36,318). This shows, for instance, that Ann Hartte rented a property in the townland of Annaghbegg for which she paid a half-yearly rent of £11. 10 shillings, and also a quit-rent of 5 shillings. Figure 2: Annual rental of the Darley estate in Wexford in 1822 (NLI Ms. 5806). All holdings are in the townland of Ballyprecas; ‘content’ is the area held in acres, roods and perches; ‘term’ is the basis on which the land is held – e.g. Connors and Foley are ‘at will’ (i.e. they could be removed at the will of the landlord), whereas the first 3tenants have leases. Lessees are specified in the ‘Observations’ column. Figure 3: A rental of the Colclough Estate in Wexford (NLI Ms. 29,745) specifying the denominations, area, rent and also the dates of commencement of leases. (b) The second type of rental format is the Debit/Contra (or Debit-Creditor) Rental, which is based on the classic double-entry account and has multi-annual accounts for each individual tenant within a rental book. These are typically presented on two pages: Tenant details and rent (and sometimes other payments) due are on the left page (Debit), and receipts are on the right page (Credit). Note the ‘Dr.’ and ‘Cr.’ at top right of the respective pages of the first example below. Two examples are below: Figure 4 shows a typical example (In this case to a partnership; see below for more information on partnerships). The left page shows the tenants (Edmund Cleary, Gleeson and Shelly) and the half-yearly rent of £30.15 shillings (etc.) for the years 1815 to 1818. On the right is the list of payments made by the partnership. This illustrates several things: (a) the rent is paid in both cash (see ‘Bank notes‘ and ‘change‘ in the lower entries) and also ‘in-kind‘; e.g. the first entry shows a payment in ‘cattle’ cumulatively worth £6.16.11, and also a later entry of payment by ‘cash and grass‘, which indicates that the landlord’s cattle had been put on the tenant’s meadows for an agreed sum. Figure 5 is a rental from Co. Meath (NLI Ms 3031). In this example the left and right pages are shown above and below respectively for convenience. This shows an example of rent payment made entirely in labour. In this case Michael Masterson contributes 111.5 days of work at 7 pence per day and 104.5 days at 5 pence per day. In return he receives a quarter acre of land (‘potatoe land‘) , a house and garden, and the ‘grass of 2 cows‘ (i.e. he is entitled to graze two cows on the landlord’s meadows). The different rates of pay per day may indicate that children (or women!) were conducting the work on these days. See our blog on Cork Labourers for further information on rates of pay for men and women. Figure 4: Example of a Debit/Contra style of rental from the Trant estate in Dovea, Co. Tipperary for 1816-19 (NLI, Ms. 1756). Figure 5: A debit-contra rental from Co. Meath (NLI Ms 3031). The left (Debit) side is on top and the right (Contra) side below. Large estates generally kept more detailed records, as there were more tenants to manage. The affairs of such estates were handled by agents who were either directly employed by the landlord, or were ‘Estate Agents’ (see a more detailed explanation in Section 3 below). The annual rental accounts may also contain ‘observations’ (also see below) on individual tenants including capacity to pay, reasons for non-payment, actions taken etc. These include references to illness, deaths, emigration or transfers of tenants etc. It should also be noted that large estates often dealt through ‘middlemen’ (again see detail below) who rented large areas and let smaller parts of these areas to sub-tenants. If your ancestor was a sub-tenant of one of these middle-men, they will not be listed on the main estate rental, and there are few rentals from middle-men in existence. Smaller resident landlords probably knew their tenants, and did not require the detail on each tenant that is found in the rentals from larger estates. In a minority of these, it is not possible even to determine the property as the rental will simply record the rent received by each tenant. The landlord would presumably have known very well which property was referred to, and it was unnecessary to note it in the rental. The debit/contra style of rental (Figure 4 and 5) was more common for smaller estates. It was a logical way of managing long-term tenants, as rents were often made in small part-payments, or even in the form of labour as shown. An on-going account over years allowed for such arrangements. In some of these debit/contra accounts it is possible to track persons within a partnership making individual payments (see Fig 4 and also ‘partnerships’ below). Thus, although the stated name on the account may only be the nominal head tenant, the accounts may show payments of rent by others within a partnership. This may be useful in identifying ancestors within these accounts. Agents. The practical day-to-day management of estates was usually the work of land agents, also known as estate agents. These could be hired by large estates as members of staff, or contracted as external estate managers. There were several large land or estate management companies that could be hired to perform this role. Some of these external companies managed hundreds of small estates on behalf of their owners. Agents provided the estate owners with regular rental reports detailing rental income due and received. These reports were particularly important for ‘absentee landlords’ who did not reside in Ireland. These were entirely reliant on their agent to manage their estate business and to keep them informed of issues that might affect their income. Land stewards, sometimes referred to in documents, were staff who worked under land agents. Figure 7: An ‘observation’ in a rental from the Crosbie estate in Kerry (1870) (NLI Ms. 5037). It reads ‘Edward Mahony died August 1870. His son Edmund applied to be allowed the value of his house which was built by his father. Mr Crosbie paid £6.6.0 for his passage to America also gave him £3.14.0 balance of valuation of old house, also £1.10.0 charity. Mahony gave possession on 12 September 1870‘. Tenancies: During the 18th century, tenants (especially Catholic tenants) had few rights. Most were ‘tenants at will’, i.e. they could be ejected at the whim of the landlord. Even where landlords were prepared to offer leases to Catholics, until 1778 their leases could not be for longer than 30 years due to the provisions of the Penal Laws. In practice most landlords did not evict tenants without significant cause. These anti-Catholic laws gradually changed over the 18th century and by 1823 the final anti-Catholic laws had been abolished. Longer-term tenancies encouraged tenants to maintain and improve their properties, and were favoured by progressive landlords. They were also relevant for landlords with political ambitions as tenants with certain types of leases could vote. The length of tenancies could be defined in years (usually 30), or in terms of ‘lives’, i.e. for as long as three specified persons survived. Combinations of both were also used. Figure 3 shows some of the lease options used on one estate. Some rentals will provide the details of these lives, which are often of family members of tenants. An example of a lease for lives from a Crosbie Estate rental (NLI Ms. 5033) in Kerry is: Darby McCarthy for part of Abbeydorney, lease dated 20 March 1796 (for) lives of lessee, Wm. McCarthy son of John McCarthy of Ballyhenry, and Eugene McCarthy natural brother to lessee. This lease provides several potential family connections and locations. However, leases for lives were problematic for landlords. If one of the persons specified in the lease was to emigrate, it was difficult to establish if they were still alive. Figure 8 below shows a typical statement of 3 lives, but also in the observation column it shows the kinds of problems created for the landlord, who is uncertain as to the status of the other ‘lives’. Although the lease terms found in rentals generally focus only on the rent to be paid, a minority of estates took a more active role in ensuring that their tenants developed their properties. An example is the Farnham estate in Cavan. A series of lease conditions on properties rented in the period 1717-1785 (NLI Ms. 11, 491) impose the following conditions on their tenants: … Building within 4 years a good farm-house 80 ft. long 16 ft. wide and 10 ft. high; Orchard 1 acre, penalty £2 added rent; Ditching within 7 years 200 perches 5 ft deep and 6 ft. wide, penalty £2 added rent; not to alien (i.e. sub-let) more than 15 acres under penalty £10 added rent. Bound to mills, penalty 5s. a Barrel. Not to commit or suffer to be committed any waste in woods under penalty of £10 for every time waste is so committed. Power for landlord to examine buildings and to repair them if not repaired within 6 months after notice. Tenant to have half of the trees they plant. Figure 8: A detail of lives specified in a rental from Sligo, 1783 (NLI Ms. 2786). The observation column shows that the estate was monitoring the lives to establish if the lease was still active. Partnerships: It was not uncommon for groups of tenants to jointly rent a large holding, which was then divided among them by their own arrangement. This differed from the ‘Middleman’ system (see below) in that the nominal tenant was also a local farmer and perhaps a relative of the tenant group. 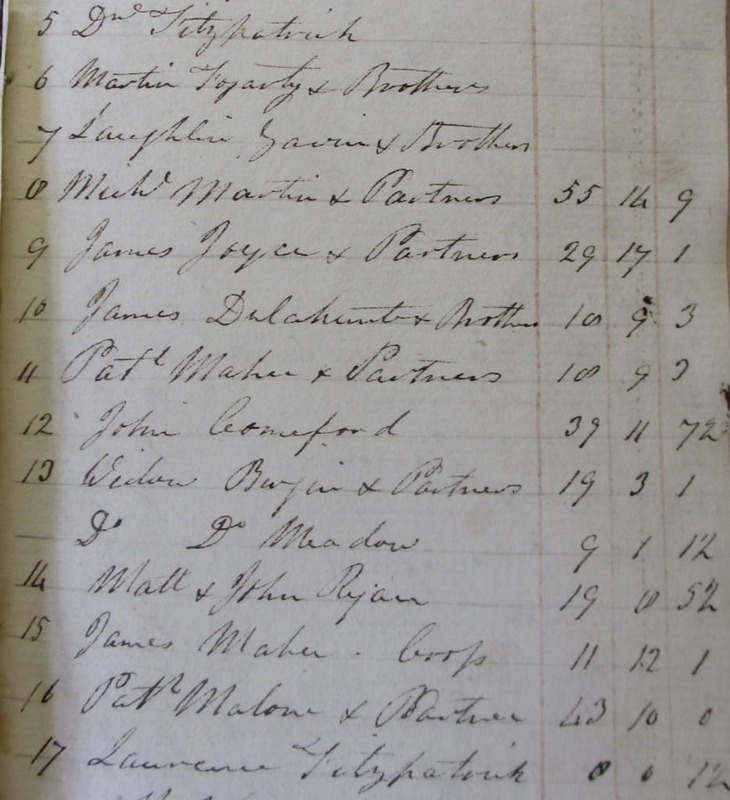 Figure 9 is a list of tenants in part of a Tipperary estate in 1815 and shows 9 partnerships among a total of 19 tenants. Several of these partnerships are among brothers. Figure 4 also shows an example of a partnership. Partnerships were, in some periods, preferred by some landlords as they reduced the need for collecting rent from many small-holders, and were also favoured by tenants as they allowed communities or family groups to stay together and to help each other out where required. However, they also allowed very small holdings, which reduced the viability of the overall estate. One system by which the land was divided by tenants is termed a Rundale system under which the land was divided into small portions according to its productive capacity, and tenants drew lots for the portions. This system ensured that each partner had an equitable mix of good and bad land. Partnership rentals can often disclose useful family information in the detail of the accounts. For instance, Figure 4 above shows that there is a wider group involved than is indicated by the nominal tenants. In addition to the nominal tenants, small payments of rent are also made by Patrick Cleary and by Widow Gleeson. Figure 9: A list of the major tenants on part of the Trant Estate in Tipperary in 1815 (NLI Ms 9480) to show the extent of partnerships. Payment procedures. The payment dates, known as ‘Gale Days’, were generally half-yearly on Michaelmas ( 29 September) and Lady Day (25th March). See Figure 10 below. A full rent-payment was commonly known as a ‘gale of rent’. Payment practices would appear to have varied between estates. In some estates tenants would present themselves to an agent’s office on Gale days and make their payments. In others the agent travelled around the estate collecting rents. The latter gave rise to the rent-books which contain details of the partial payments made on their tours of properties. Figure 10: A rental title from the Fitzwilliam Estate, Wicklow (NLI Ms. 6074) showing traditional ‘Gale-days’ for payment of rents. Workers as tenants: Some tenants worked for estates as labourers or in other capacities and received their holdings in lieu of wages. Their rent is often declared in terms of days of labour provided. Figure 5 is an example, but whether Michael Masterson was regarded as tenant or a worker in this arrangement is unclear. Payments in kind. Rent was also often paid ‘in-kind’ by labour or through produce of various kinds; oats, turf and animals being common commodities of payment. Figure 4 shows payment in cattle, for instance. Payment in the form of chickens or geese at Christmas time was a rental payment on some estates. Middle-men. Especially in the 18th century some estates preferred to rent large parcels of land to individuals, who would then sub-let this land in smaller lots to the tenants who actually worked the land. This had advantages for large landlords, especially ‘absentee’ landlords, as they could thereby avoid the administrative burden of dealing with individual small-holders, and of the associated risks from absconding or bankrupt tenants. However, these so-called middle-men were often ruthless with their sub-tenants and charged rapacious rents over which the landlord had no control. It is widely regarded that they were responsible for the progressive sub-division of land into lots which were non-viable as farms, but allowed small-holders to survive by growing potatoes. Thus small-holders became totally dependent on potatoes with all of the disastrous consequences which resulted during the Great Famine. Many ‘improving’ landlords sought to eliminate middle-men so that they could have direct dealings with the tenants who actually worked the land, and thereby undertake initiatives to ensure that each had a viable holding. These initiatives included drainage, improving road access to markets, and new farming techniques. Our blog on the Cloncurry Estate in Limerick discussed this issue. The middle-man system therefore gradually disappeared. The Rental or Rent-roll is usually a hard-bound book into which the details of all tenants are inserted for successive years. Some of these, especially for the larger estates, have very ornate covers. An example is shown below. Their internal layout during the 17th and 18th century rentals is usually blank pages with no columns, or with hand-drawn columns. In the late 19th century, pro-forma printed books became available with standard columns. Although formats are variable, they typically list the tenants within each townland within the estate and (for each) the rent due, arrears, rent received, and observations. Some will also list the area of land within each holding, tithes due, and terms and other information on leases etc. Some have an index to all of the tenants listed, and/or the properties rented. See Figures 1 to 5 above. 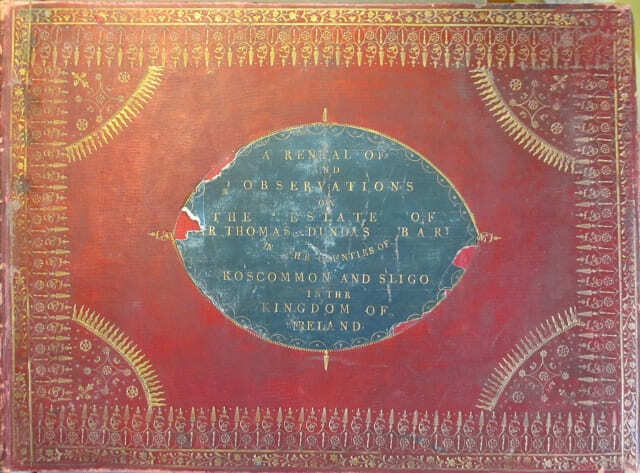 Figure 11: The ornate cover of a Rental book of the Dundas Estate in Sligo & Roscommon (NLI Ms. 2786). Copy-rental. Where the landlord was an absentee, the agent usually made a copy of the rental for a quarter or half-year. This was sent to the landlord with observations on tenants and/or requests for decisions on ejection, abatement of rents etc. The landlord would respond with answers to queries and instructions for action where required. The format of copy-rentals will match exactly that of the ‘master’ copy above. These are generally folio size documents folded to approximately half a letter size but are much less common than rentals. Combined Rental and account books. Some agents kept ledgers which combine rent receipts with accounts for tradesmen and labourers hired for work on the estate, and for suppliers. This would be a logical approach if the agent’s task was to manage the affairs of the estate using the income from rent. It would make particular sense if some of the tenants were paying their rent in the form of labour or goods. The resulting documents are ledgers in the debit/contra style where some of the persons are tenants paying rents only, others are supplying services or goods but are not tenants, and others are tenants who are also providing services or goods as part of their rent payment. Maps and Valuations. Estates were businesses with a definable income from rents. Financial valuations were often conducted prior to the sale of an estate, or for probate or dowry purposes. Reports on an estate and its productive capacity were also compiled for other reasons, e.g. to determine whether the land was being farmed adequately, or for rent review purposes. Such valuations and reports often list individual tenants, and provide information on their lease terms and/or farming activities. Some of these reports and valuations also include maps showing the holdings of each tenant. Some of these are very ornate and detailed. An example is in Figure 12. The National Library of Ireland has an extensive collection. Figure 12. Map of tenant holdings from the Power-Lalor estate in Co. Tipperary, 1856. (NLI, Ms. 1675). The holder of each of the numbered plots is listed in a separate index, together with area of holding. Other documents. Rental-related documents included among estate papers may also include rent books, leases, mortgages, receipts, letters from tenants, notes to/from agents relating to tenant issues etc. and many other documents, which may provide further useful information on tenants. 5. Where can rentals be accessed? Having whetted your appetite for rentals and their potential, where can they be found? Firstly, rentals are private records which were the property of the individual estates that generated them. There was and is no obligation on estate owners to make them accessible to others, so their availability is entirely dependent on whether they have been donated to some public archive, or otherwise made available for research. Secondly, only a small proportion of rentals survive. The majority of rentals have probably been dumped over the centuries as their practical value ceased, as is the way with most business records. However, some still survive. 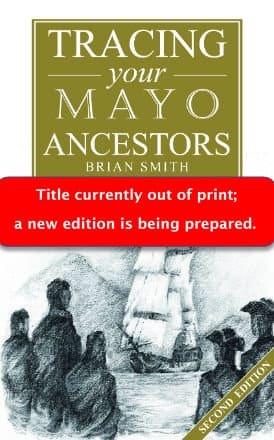 Very few are available on-line, particularly by the major genealogy websites. A valuable exception are the records of the Landed Estates Court (see below). Most rentals must therefore be accessed in their original form or on microfilm in archives. The National Library of Ireland has an extensive collection of estate papers which include some 1700 rentals. The existence of estate papers can be established using the ‘Sources’ database, managed by the National Library. It provides information on material relevant to Irish history in many Irish and other European archives. The National Archives of Ireland, and the Public Record Office of Northern Ireland also have collections of rentals which have been donated, or which have come into public ownership through other means. It is useful, as an initial step, to seek estate papers within these archives rather than rentals. The rentals can be found within the estate papers, but sometimes described as ‘lists of tenants..’ or ‘Tenant accounts…’ or ‘Rent rolls‘ rather than rentals so make sure not to only search using the word ‘rental’. The Local History Sections of some County Libraries, and some County Archives also have rentals donated by local people and institutions. 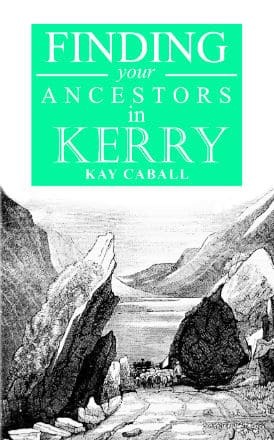 Each Irish county has a library system and in one of the libraries will be a ‘Local History’ section with items of local relevance. Some counties also have dedicated County Archives with similar material. The contact details and websites of County libraries can be accessed here. Some of these institutions have been actively putting their rental holdings on-line. Good examples are the county libraries of Limerick and Galway. In addition, Trinity College Library in Dublin also has extensive records of rentals as the college was itself an estate owner in the past. There are also many Irish rentals in UK Archives & Libraries. This is because many owners of Irish estates were English residents and their records were often donated to, or acquired by British archives. The NLI Sources database above notes many of these. Encumbered Estates Court. This Court was established in 1849 (and renamed the Landed Estates Court (LEC) in 1852) to cater for the huge number of estates that became bankrupt at that time. Although bankrupt, many estates could not be legally sold by the owners as they were entailed, i.e. they had entered into legal agreements which prevented their sale. The courts addressed these issues and allowed landlords to sell these estates. The process of the sale required a formal auction of the estate for which a sales brochure was prepared. This brochure generally listed all of the tenants and the basis of their tenure (see Fig 13). These are a very useful source of information for tenants at this period. In addition, as the precise lease details are listed, they also indicate previous ownership. These have been digitised and put on-line by FindMyPast.ie and provide information on over 8,000 estates. A huge proportion of the records are still in the hands of the original estates. Many of the families that own these estates still live in their ancestral homes, although often in much reduced circumstances. The Sources database noted above includes reports conducted by the National Library on the content of Private Collections within the country. These may be useful in tracking the existence of papers for a specific estate. A complication in tracking estate papers and their associated rentals is that estates (or parts of estates) were often transferred to others through marriage, inheritance or sale. The rentals would therefore become part of a different estate. Larger estates often keep separate books for new estates and even indicate its the original owner by the name of that part of the estate. It may, however, complicate the process of finding a rental within the large body of estate papers which exist. So, how do you find the rental you need? Essentially, you will first have to establish the landlord in the area when and where your ancestor lived, and then search to see if their estate papers have survived. There are a few sources you can use for this. One source for the mid 19th century is Griffith’s Valuation which lists all land-holders and their landlords. In this record is a column headed ‘immediate lessor’ (see Fig 14) which indicates the landlord for each property occupier at the time of the survey (1840s-1860s). Note that this person may be a ‘middleman’ (see above) who rents the land from the estate and then sub-lets to others. If this is the case, the tenant will not appear in the estate records as they are not a direct tenant of the estate. Figure 14: one means of establishing the landlord within an area is to consult the ‘Immediate lessor’ column in Griffith Valuation – marked above. Another very valuable resource for locating estates in the West and South is the Landed Estates database . This website is being compiled by University College Galway as “a comprehensive and integrated resource guide to landed estates and historic houses in Connacht and Munster, c. 1700-1914″. It details estates in Connaught and Munster and indicates the ownership of lands by individual families over a wide period. There are also many other sources which list the landlords in particular areas that can be used for this purpose. For instance, local histories will usually contain information on the major local landlords in each area. Ancestor network also publish small lists (10 to 300) of tenants in rentals within our series of blogs. For example, Tenants of the Leslie Estate in Monaghan in 1751; or 71 tenants of the Prittie Estate in Tipperary in 1826. You can search this by county or estate name in the search box at above right. If you have queries on a rental, or require research to establish the existence of a rental of value to your research, Ancestor Network may be able to help. Click here and send us a query as to what you require.